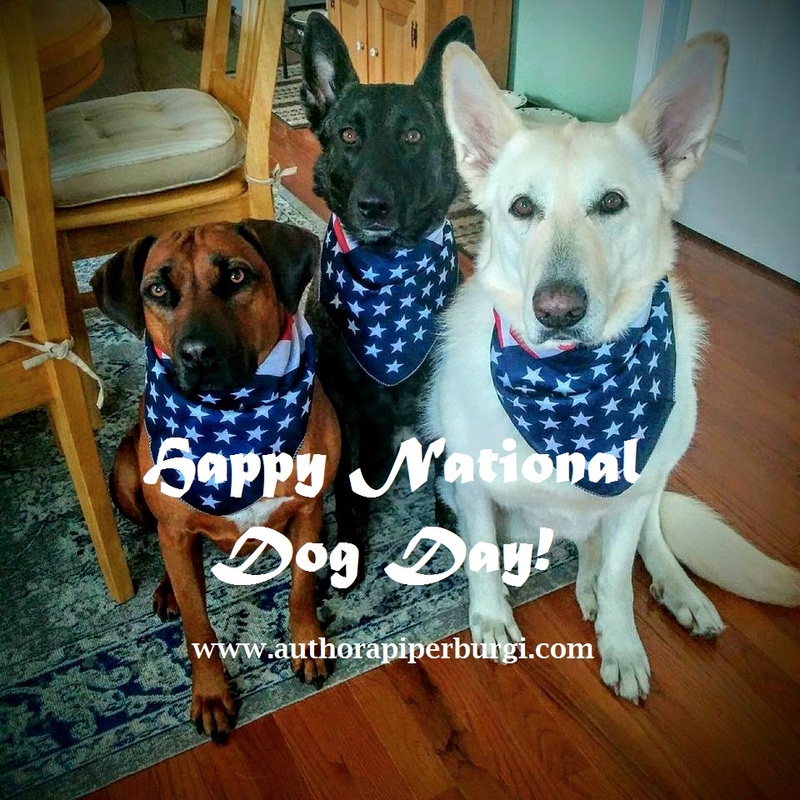 A. Piper Burgi - Independent Author: Happy National Dog Day! I believe that by now my readers know that I am an devoted dog parent, and my furry children play a most important role in my life. No one can win hearts like man’s best friend and in honour of this bond between human and canine, Dog Day is celebrated. Not too long ago, my husband and I decided to adopt our foster dog, an American White Shepherd. She came to us last year, highly pregnant and soon gave birth to nine healthy little pups in our living room. While we did our best to give the pups a good start in life, and all of them have found their fur-ever homes in the meantime, mama's adoption fell through. So, she was returned to us for another round of fostering, which eventually turned into a foster failure. The National Dog Day Foundation supports all sorts of breeds and varieties of dogs. They discourage everyone from purchasing a puppy unethical backyard breeders and puppy mills, but instead, support adoption from animal rescue organizations and reputable breeders.